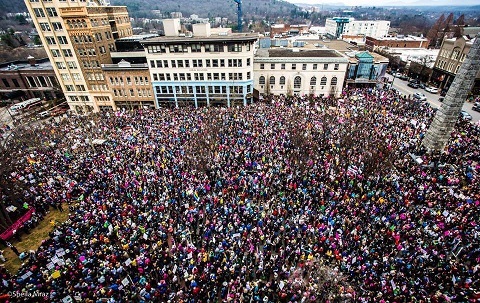 2019 Women’s march events were organized in Asheville, Charlotte, Raleigh, Wilmington, Black Mountain and Albamarle. Themes and dates varied but interest and excitement stayed high! One was organized by middle school girls! A little about each of them here. 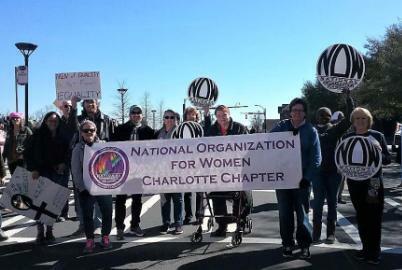 First was “Stanly County Women’s March “Working Together is Success” on Jan. 12 in Albamarle. About 150 strong gathered at the Courthouse–all ages, all races, all genders, with positive visions. This was their first women’s march, inspired by those in Raleigh and Charlotte (according to the article). Here are some upcoming events to plan for. 1. 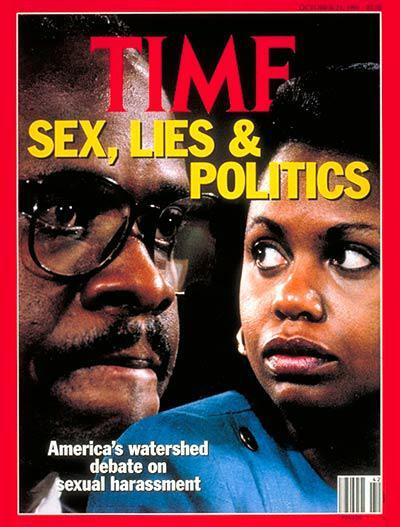 Anita Hill will be at Elon University on Jan 10, 2019! A group from Triad NOW is going, and some Raleigh NOW members as well. Public tickets for the event are sold out. Read more about the event at https://www.elon.edu/u/speaker-series/anita-hill/. 2. 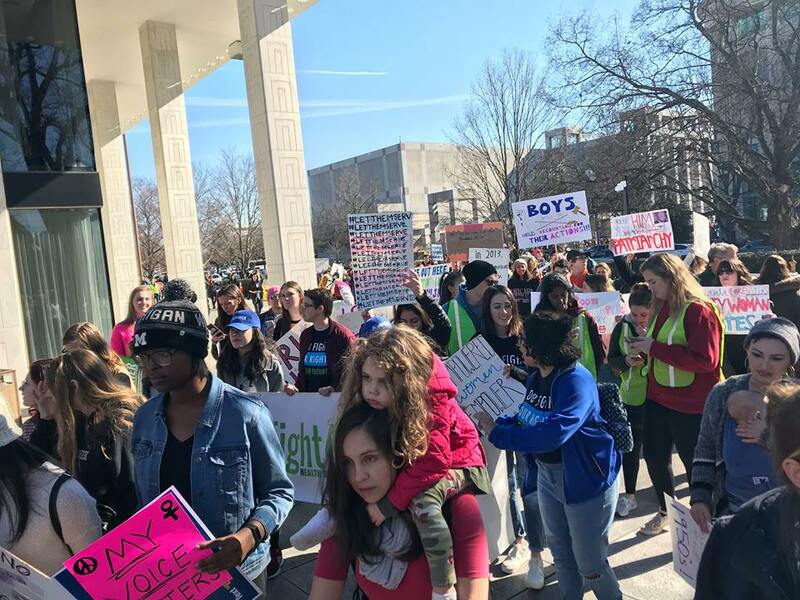 Women’s March events around NC – see 2019 Women’s Marches in NC. 3. Look for Martin Luther King Events around state. The Marches For Science were full of happy, busy people in 2017. Again in 2018, citizens have the opportunity to publicly show their respect for and appreciation of Science in the face of the Trump administration’s demonstrated disdain for Science. Some cities are hosting Marches for Science this year – Raleigh and Greensboro NC on April 14, 2018 for sure. Western NC has an option in SC on April 21, 2018. Female and male scientists are featured at these events. The Raleigh March For Science includes special activities for children. We celebrate science while President Trump’s administration continues to show its disdain for Science. 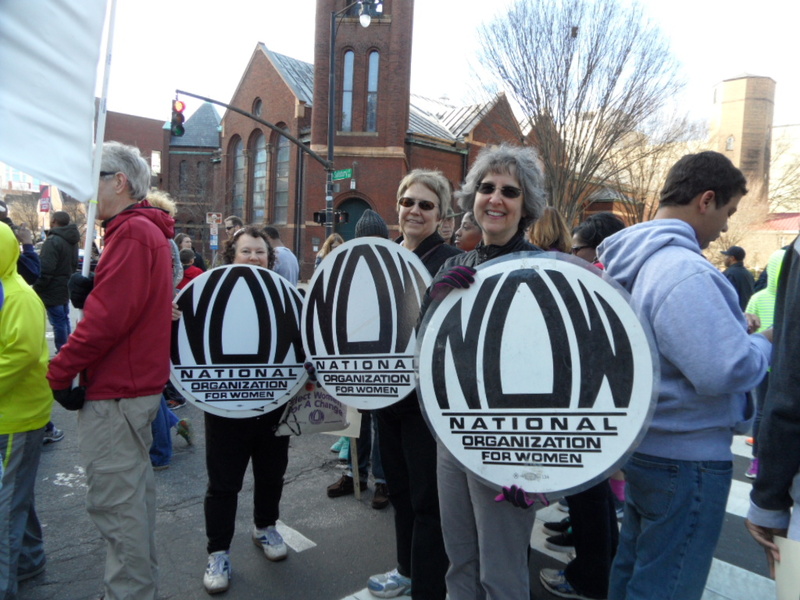 Join NC NOW and other partners at the HKonJ (Historic Thousands on Jones St) march and rally. The theme is “Taking Resistance to the Ballot Box.” The event begins in front of Raleigh Memorial Auditorium. We march together to another spot for a rally. We’ll have an NC NOW banner, NOW rounds and some signs. Feel free to bring your own and make your own statements! Dress for the weather! We’ll be there rain or shine! 8:30am: People begin gathering in front of (originally named) Raleigh Memorial Auditorium, 2 South Street, downtown Raleigh. 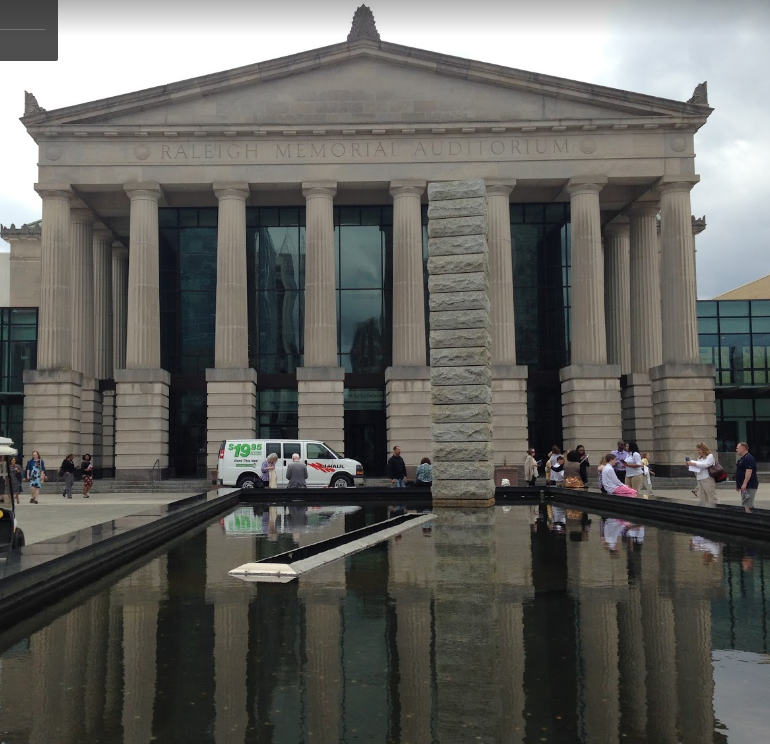 9:00am: Look for NOW rounds and purple NC NOW banner by the ‘water feature’ in front of the stately Raleigh Memorial Auditorium building. NINE Women’s March anniversary events are being planned in NC so far. These are for January 20th, 2018. 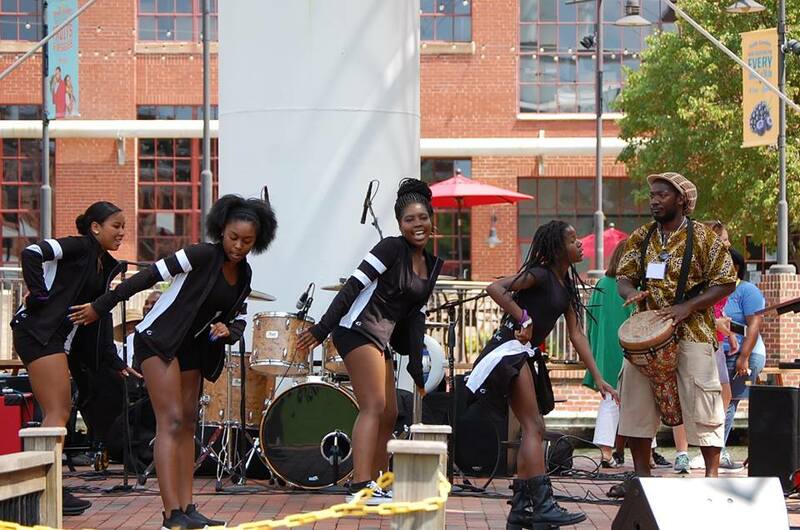 Our second Women’s Equality Day March and Rally in Durham was on a beautiful day and in a beautiful place – the American Tobacco Campus in Durham, NC. Thanks to the speakers, the attendees, the marshals, the organizers, the musicians and the dancers. Many of the organizers and most of the speakers were women of color. We used the occasion of Women’s Equality Day to celebrate women’s progress and to talk about what women still need. Police estimated that 3,000 people marched, and the American Tobacco Campus estimated that 2,000 attended the rally. We had a much larger turnout than at our first march and rally. 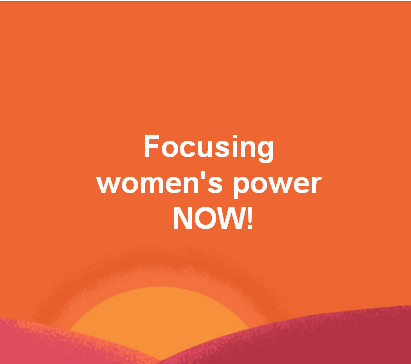 Read about the Women’s Equality Through Time March and Rally in 2015.